Arnold Law, LLC: Car Accidents and Company Vehicles. Car Accidents and Company Vehicles. When you are in a car accident and you believe that the other party has been negligent this may result in a personal injury claim. What if that other vehicle is a “company car, truck, or van”? Well, that might be a horse of a different color! Operating a company car is a privilege and a large responsibility. It does not give someone carte blanche to drive recklessly. IF the company vehicle is insured the responsibility falls on that insurance company. That policy is likely to be in the business’ name. There are cases, however where the operator is responsible for the liability. Depending on how the transportation was being used at the time of the accident may also be a determining factor on whom is liable. This potentially complicated issue needs to be sorted out by YOUR legal counsel. 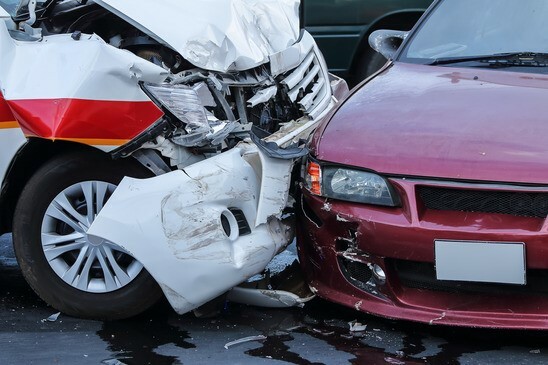 If you feel that you have a case against a driver operating a company vehicle contact Baltimore motor vehicle accident attorney Briana Arnold. Attorney Arnold will break down every aspect of your case. Give her a call at (410) 484-1400 for a free consultation at her office on 1777 Reisterstown Rd in Pikesville, MD.